It's hardly an essential re-issue if I am honest. 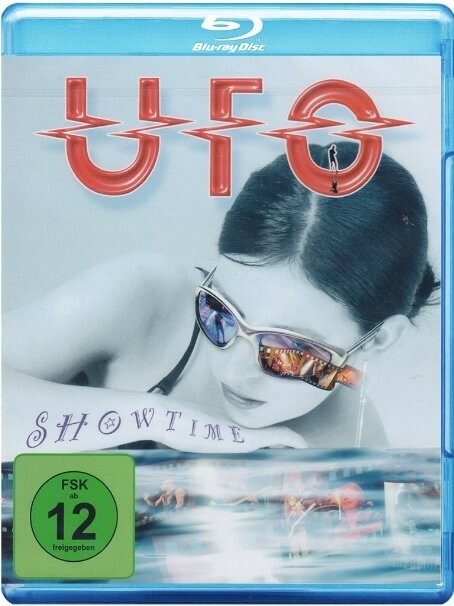 Newly released on Blu-ray, 'Showtime' is a re-issue of the live DVD that was first released back in 2005 and taken from UFO's first tour where Vinnie Moore had taken over the guitar duties from Michael Schenker. Recorded in Germany, it also features Jason Bonham and Pete Way along with Paul Raymond and of course Phil Mogg. Whilst the performances themselves are strong enough all round, it just seems to lack the warmth and energy I expect from a UFO gig. The sound is certainly clean and vibrant, but perhaps just a bit too clinical compared to other UFO shows that are out there. What you do get though is an interesting selection of tracks from the, then current, 'You Are Here' album and eleven of the sixteen tracks that also appeared on the classic 'Strangers In The Night' in a "greatest hits" type set. Far more interesting is the bonus material; in particular, a selection of songs recorded live in the studio including versions of 'Try Me', 'Love To Love' and 'Profession Of Violence' recorded with a string quartet. Not surprisingly there's a couple of typically bizarre UFO images – Raymond playing a grand piano, resplendent with Liberace style candelabra... and a coffee mug. Whilst the string quartet have their pages of complex sheet music, Way has an A4 sheet with "C, B, C, B, A, F" scrawled in thick marker pen. There are interviews and documentaries to provide some further interest, but with no additional material from the original DVD package, it's hardly an essential re-issue if I am honest.